Modular data centers are moved to the production line on large air casters that use compressed air to raise heavy loads, which allows one or two employees to move modules as heavy as 40,000 pounds, according to IO. As modules come off the assembly line, they are fully tested on-site for function and performance. They are then delivered to customer sites and can reside inside a facility or outside. Providers get the units up and running at the customer site; they make the electrical and mechanical connections, install servers and storage and ensure all systems function properly. IO modular data center customer LexisNexis visited several sites where modular data centers were being installed. "The timing and the precision these guys have -- connecting all of the power, the cooling -- watching these guys work, it is pretty amazing," Williams said. 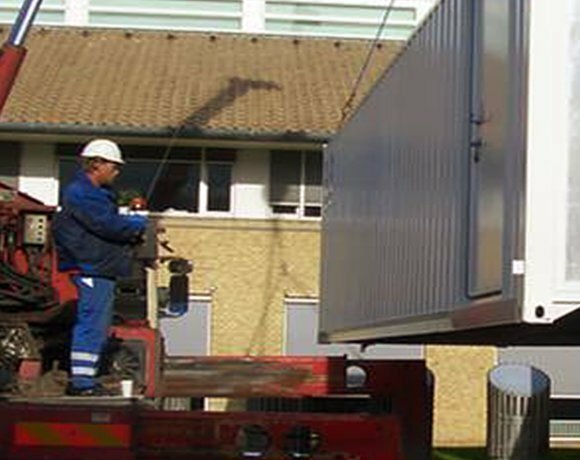 In some cases during a modular data center installation, the process takes days. In other instances, it can take months to get fully connected through network carriers and other local service providers. The latter was the case for Williams.